Wholegrain foods are cereal grains which retain the bran and germ as well as the endosperm, in contrast to refined grains which retain only the endosperm. Whole meal products are made from whole grain flour. Common whole grain products include oatmeal, popcorn, brown rice, whole wheat flour, sprouted grains and whole wheat bread. Common refined grain products include white rice, white bread, hominy and pasta (although whole-grain varieties of pasta are available in natural-food sections of stores). Whole grain products can be identified by the ingredient list. Typically if the ingredient lists “whole wheat”, “rolled oats”, or “whole corn” as the first ingredient, the product is a whole grain food item. “Wheat flour” is not a whole grain, and therefore does not indicate a whole grain product. Many breads are colored brown and made to look like whole grain, but are not. Additionally, some food manufacturers make foods with whole grain ingredients, but because whole grain ingredients are not the dominant ingredient, they are not whole grain products. Whole grains are often more expensive than refined grains because their higher oil content is susceptible to rancidification, complicating processing, storage, and transport. Similar to the distinction between whole and refined grains is that between whole pulses and refined dal. Whole grains are believed to be nutritionally superior to refined grains, richer in dietary fiber, antioxidants, protein (and in particular the amino acid lysine), dietary minerals (including magnesium, manganese, phosphorus, and selenium), and vitamins (including niacin, vitamin B6, and vitamin E). Manufacturers are sometimes required by law to fortify refined grain products to make up for the loss of vitamins and minerals. The greater amount of dietary fiber, as much as four times that found in refined grains, is likely the most important benefit, as it has been shown to reduce the incidence of some forms of cancer, digestive system diseases, coronary heart disease, diabetes, and obesity. Some of these protective effects occur because carbohydrates from whole grains are digested and enter the bloodstream more slowly (as measured by the glycemic index). 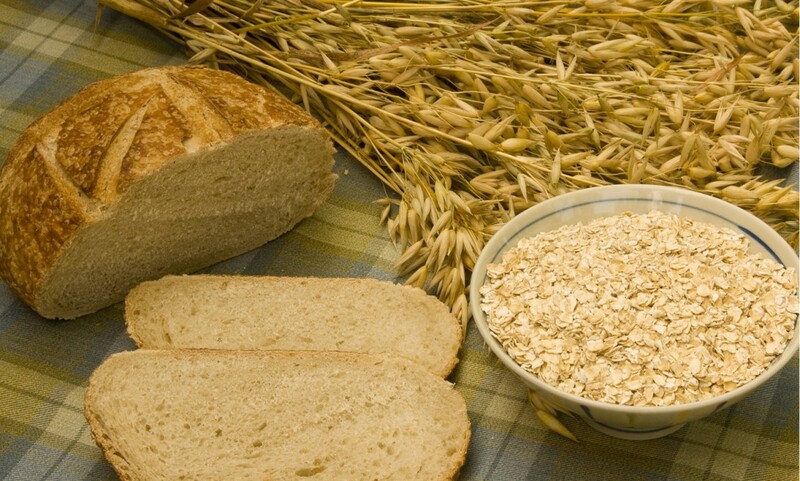 Some grains contain gluten and other potential harmful anti-nutrients. A growing number of experts are warning us about gluten and other anti-nutrients that may damage your health. Two of these anti-nutrients called gliadin and lectins have been identified in certain grains. These substances may cause leaky-gut syndrome. Leaky-gut can cause symptoms such as bloating, gas, abdominal cramping, fatigue, skin rashes, joint pain, allergies, and other issues. In fact, gliadin, found in gluten is actually an appetite stimulant.